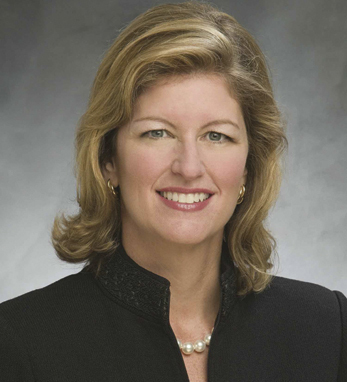 Kathleen Murphy is president of Personal Investing, a unit of Fidelity Investments, the largest mutual fund company in the U.S. She assumed her position in January 2009 and oversees more than $1.25 trillion in client assets, more than 14 million customer accounts and over 11,500 employees. Her business is the nation’s No.1 provider of individual retirement accounts (IRAs), the fastest growing major online brokerage company, and a leading provider of managed account programs and college savings plans. She is a third-generation Irish American. Her father’s family is from County Cork and her mother’s family is from Kerry. She is married with one son.